Hospitalized during a suicidal crisis when she was in middle school, Annie, 18, is now a college freshman pursuing a career in art. She might not have made it without Didi Hirsch and all the people who support us. She was 12 when she started to feel like “bombs were going off” in her chest any time someone tried to talk to her. Convinced no one liked her, she constantly complained of stomach aches to avoid going to school. When her grades fell and she stopped drawing, she felt so hopeless she thought about ending her life. Luckily, the hospital linked her to Didi Hirsch, where she and her parents began working with a treatment team that included a child psychiatrist and a therapist. Annie learned how to manage her anxiety and depression and her parents learned how to coach her through hard times. Annie joined a Didi Hirsch support group where she made new friends. 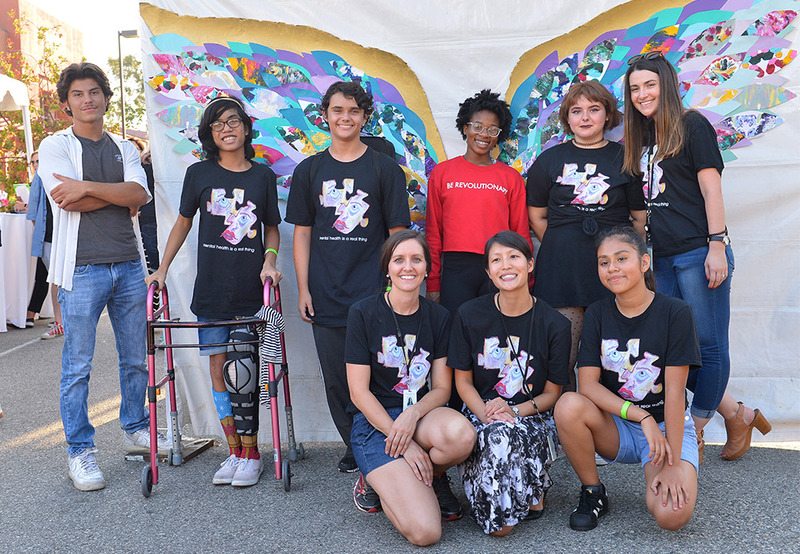 She started drawing and contributed art work to Didi Hirsch’s Grit & Grace Teen Summit. As Thanksgiving approaches, we are grateful for supporters like you who make it possible for us to help teens like Annie feel less alone. Please make a year-end donation to Didi Hirsch Mental Health Services so we can be there for even more children, teens and adults. Your generous support today helps us transform lives!